We want you to know that whether you are someone who has been diagnosed, are a care partner or know someone whose life has been impacted by this disease, or any other type of dementia…you are not alone on this journey. 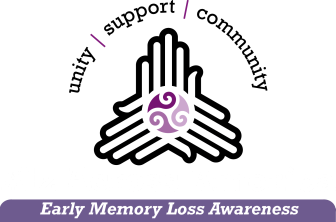 We are Baby Boomers whose lives have been changed by Early Memory Loss and we invite you to make yourselves known to us and share your stories. We want Alzheimer’s and other forms of dementia to be discussed openly, without shame or embarrassment. Education and understanding are crucial. The funds for research must be increased to help to find a cure. 10% of all donations raised by Alz Across America will go directly to the Alzheimer's Association. For instance, did you know that 50 years ago they used to think that cancer was contagious? Now, there are cures for many types of cancer and there is hope.